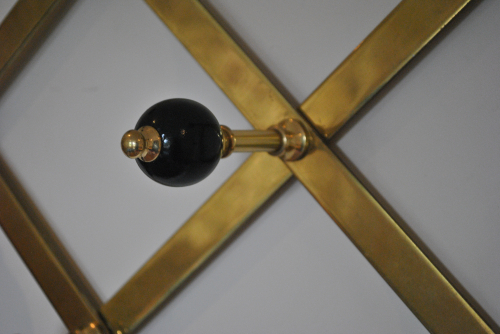 Lacquered brass coat rack with black lacquered wood. It is adjustable allowing for the width of the rack to be set depending on the space. In the photos it is close to the maximum of it`s adjustable length. Designed by Dominioni for Azucena, Italy 1960`s.